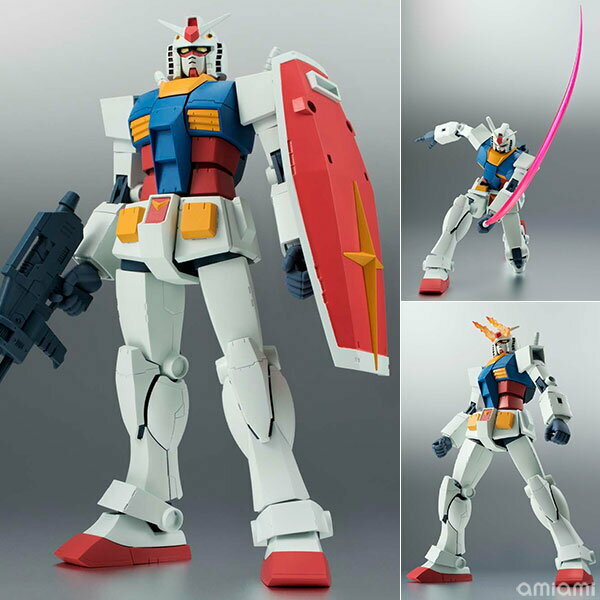 BANDAI Robot Spirits -SIDE MS- RX-78-2 Gundam ver. A.N.I.M.E. Dynamic action: Movable head, also a new shaft make head to look up. Breast width changeable. Movable shoulder, groin. Super movable elbow. Abdominal twisting motion. Options: Beam rifle mountable to Shield. Hyper bazooka mountable to waist.